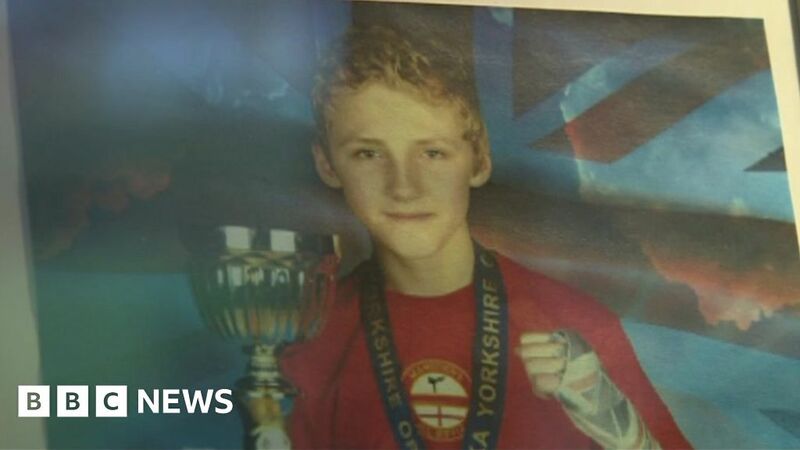 A 14-year-old kickboxer died when a blow to his chest caused cardiac arrest in a rare medical “fluke”, an inquest has heard. Scott Marsden, from Sheffield, collapsed during a kickboxing bout in Leeds in March 2017. Wakefield Coroner’s Court heard he died from a rare disruption of the heart’s rhythm caused by a direct blow at a specific moment in the heart cycle. The pathologist said Scott had no pre-existing heart defects. Dr Kerry Turner, consultant paediatric pathologist, told the coroner the condition that killed Scott was “commotio cordis” and it was “very rare” that three elements – the blow’s impact, its location over the heart, and the timing in the cycle – all aligned. Dr Turner said: “It is a tragic fluke that all three things line up in the correct way. Scott started kickboxing aged four or five, and competed from eight. He trained at Marsden’s All Styles Kickboxing club in Hillsborough, run by his family. The event was the fourth at Leeds Martial Arts College, organised by Paul Lynch under World Kickboxing Association (WKA) rules. Scott’s opponent was of similar size and age. The inquest heard Mr Lynch, MC-ing the event, hired a private medical team. A doctor he used for pre-fight checks at previous events was also there, although only in a social capacity as she was heavily pregnant. Mr Lynch said Scott slumped on to the ropes and was caught by the referee following a spinning kick by his opponent. The medics on-site gave him emergency treatment and paramedics were called, but Scott died the next day at Leeds General Infirmary. Jon Green, UK president of WKA and judging on the night, questioned official ambulance service figures that a crew arrived in 21 minutes. He told the inquest the crew seemed “in no rush whatsoever”.